In a solo or small gang environment, the advantage of the HAC is generally in control - they're excellent at dictating when and where the engagement occurs, and forcing you into a fight where you don't want it. However, if you're able to catch one at close range in a well fit battlecruiser (or battlecruiser gang to their HAC gang), you will generally come out ahead. Much like its t1 counterpart the stabber, the vagabond is a speed machine - it's slightly faster than the stabber and is far and away the fastest HAC, able to hit speeds of around 2.5km/s unmodified, or over 3km/s with a few speed mods (although at the time of writing, such a fit isn't commonly used). Additionally, the vagabond loses a number of the stabber's fatal flaws: While the stabber had an anemic slot layout for a t1 cruiser, the vaga's is on par with any other HAC - 6/4/5, a perfect slot layout for its role (as we'll see in a moment). Secondly, while the stabber's 4 single bonused turrets and a solitary drone provided little in the way of dps, the vagabond fields 5 double bonused turrets, and a full flight of light drones. This combined with the additional low slots for damage mods and the grid for larger guns, gives the vagabond a damage output around twice that of the stabber. Not only that, but it gets an invaluable 10% bonus to falloff per level of the HAC skill, significantly improving its ability to kite from range. With a couple of tracking enhancers, a vaga with barrage can have a falloff range of over 40km - again, about twice that of the stabber. Finally while the stabber's tank was pretty terrible, the vagabond's is fairly solid thanks to an additional mid slot, more fitting resources, greater base HP, and minmatar t2 resists (which significantly buff its EM and thermal holes). The result is a very effective ship, and an excellent example of what HACs are all about (hence why we're looking at it first). If given free reign of the battlefield, the vagabond can be an incredibly dangerous opponent - it can hit you from ranges at which most ships simply cannot respond, and it has more than enough speed to keep itself there and vapourise any tacklers that try to burn out to it. However, it also demonstrates the main weakness of HACs as a class - while it's significantly more powerful than the stabber (which you'll remember was a very weak cruiser in terms of actual gank/tank ability), the vagabond is not all that much stronger than a normal t1 cruiser - it's strength comes from speed and range. Catch it up close with a scram, and it loses those advantages; suddenly the vagabond is just a particularly expensive t1 cruiser with a little bit of extra damage ouput and a slightly stronger tank. Since its strengths are so polarised, the vagabond has a fairly well known 'standard' fit that almost all pilots use a variation on - this fit features a MWD (for the speed), long point (for the range) and 2 slot shield tank (either LSE and invuln or 2 LSEs) in the mids, and 2 gyros, 2 tracking enhancers, and a damage control in the lows (providing a strong damage output and enhancing its already impressive falloff range). High slots will feature 5 autocannons (the vaga doesn't have the grid for arties, and I've never seen one using them) along with a medium or small neut. With not a wasted slot and nothing lacking, you can see why I said the layout was perfect for it! The only significant variance which may affect your engagement plan is in the high slots - dual 180mms or 220mms indicate making room for a medium neut, and thus make the ship much more dangerous to frigates. 425mms usually means a small neut or no neut at all - this variant is much more vulnerable to ships like AFs and interceptors, providing those ships can get up close (despite the fearsome reputation, I've seen plenty of vagabonds killed by ships like taranises when the fight started at 0). Fighting a vagabond really revolves around one thing - getting a scram! Keeping a long point on a vagabond is almost impossible in any ship strong enough to survive its guns, and those which can (such as a well flown fleet interceptor) won't be able to kill it unless the dps ships can stay in range too. A scram then, is all but essential. What you should not do with a vagabond (much as we discussed with ships like the stabber and kiting rupture) is have light ships chase it directly - this is exactly the engagement that the vaga pilot is looking for, and those ships are probably going to die. With a burst of overheat, an unmodified vaga can top 3.5km/s - equal to or better than the non-overheat speeds of all AFs, most t1 frigs and many tanked combat interceptors. Vagas can be caught if the tackler is fast enough (e.g. a dramiel) or is able to make a good manual approach to avoid the incoming fire, but I recommend caution nonetheless. If your gang has long ranged webs (e.g. a huginn) or tracking disruptors, you can make this job quite a bit easier or safer, but in such a case you're more likely to find the vaga pilot simply won't engage. Similarly, if your own gang is able to hit out to around 50km (e.g. HML drakes or battleships), you'll probably find vagabonds steer clear. Many vaga pilots will attempt to split your tacklers off from the rest of the group by repeatedly warping to celestials at varying ranges (you may remember I mentioned this tactic as a way to get targets to chase you and potentially land at 0 - the vaga's aim is fairly similar, although obviously they will aim not to be at 0 with you when you land). If you're flying one of those tacklers, be very wary of engaging the vaga when your fleet are not in a position to back you up - maybe they're still in warp to the previous celestial on the other side of the system, or something similar. Assuming you're able to get a scram on that vaga, you've done the hard part already. In a larger or equivalent ship, your best bet is simply to minimise angular velocity and put out as much damage as you can. If you're not confident that you can out tank/out dps the vaga, orbiting close may help to an extent, at least at first (since the vaga pilot will probably have started the fight using barrage, which has a small tracking penalty. That said, expect vagas to have reasonable tracking up close thanks to their tracking enhancers, although you can safely assume they will have neither a scram nor a web. In a frigate (whether as a tackler for a gang, or a lucky and aggressive soloer), you've got a good fight on your hands! Your main threat is the medium neut, if applicable (as I mentioned before, if you spot a vaga with 425mms it will probably only have a small, if any. It's also not uncommon to see vagas with a cloak or missile launcher in the last high, especially if they're ratters). Assuming they do have a neut, careful cap management on your part will be essential, but the fight should otherwise be fairly straight-forward - kill the drones, then the vaga. Engaging a vaga gang follows similar rules to engaging a solo vaga - get scrams and webs, and avoid letting your gang get spread out chasing them. Vaga gangs thrive by pulling fast ships away from their fleet and killing them before backup can get in range (in this situation even if that intrepid tackler is able to land a scram on one of them, they will often just get picked off by the rest of the gang). Keep your ships together, and make sure anywhere there is fast tackle, you have much heavier tackle (and dps) as close behind as possible. Thanks to its strong t2 minmatar resists, the best damage types to use against the vaga are (in order) kinetic, explosive, thermal, EM. Each race has at least one HAC that seems to have been optimised for sniping, and for minmatar, that's the muninn. While the vaga is a specialised autocannon platform, the muninn is built to the strengths of artillery (although auto muninns are occasionally seen). In terms of layout, the muninn is quite similar to the vagabond - it swaps a mid slot for a high giving 7/3/5 overall, switches the vaga's falloff bonus for optimal, and the vaga's speed bonus for tracking. It has the same 5 double bonused turrets, and the same 25m3 of drone bandwidth. The first thing you'll notice about the muninn is that it has one less mid slot, which significantly compromises its ability to shield tank - to fit the same shield tank as a vaga, it needs to fit no tackle. Instead it seems the muninn was designed, like the wolf, to armour tank. Doing so however would leave a huge hole in its explosive and thermal resists, and appears to be fairly rare in practice. 95% of the time, the muninn is fit for sniping - that means 720mm artillery (for maximum range, and most importantly maximum alpha strike), and a fragile tank if any at all. In this role, the muninn does shine - it can quite easily hit out at optimal ranges over 100km with tremor, and thanks to the generous falloff of artillery after a couple of tracking enhancers, potentially quite a bit further. Damage at this range is fairly average for a sniping HAC - nothing terrific but enough to be more than just a nuisance alone, or a very significant threat if in a group. Perhaps the most significant point regarding the muninn however is its alpha strike - typically between 1.5 and 2k per ship with tremor, or potentially upwards of 3k with close range ammo (which incidentally can still hit out to around 30km optimal with the same again as falloff). A small group of muninns can take out frigates in a single volley, and larger gangs of them can even alpha critical targets like logistics ships. Fighting a sniping muninn or a muninn gang is much the same as fighting any other sniping opponent - don't sit stationary in fragile ships with them on grid or on scan, and make liberal use of probes and fast tacklers to provide drops. A full sniping gang, is unlikely to be able to tackle you themselves and will need to rely on interceptors or dictors to do so (a medium range muninn gang will probably use lachesises for the job), and these ships can present a weak link. If you are capable of getting a drop on a muninn, their soft tank will likely mean they go down with little difficulty, even to a single frigate (although frigate tacklers should beware of the potential drones that will be coming their way. With artillery, the muninn is unlikely to hit anything up close despite it tracking bonus (although tacklers should be cautious during the approach, especially against mid-range muninns which may not be using tremor and are thus exept from the associated tracking penalty). The unknown quantity in this equation is the muninn's 2 free high slots. An odd layout for a sniping ship, it's not uncommon to see these discarded as 'useless' and left empty. However, these slots to have the potential to house neuts (smalls only, arty already use up all of the muninn's grid), small smartbombs (which are no threat to frigates, but in specialised gangs can serve as a defence against missiles or drones), or some variety of missile launchers (usually small ones, again for grid reasons). Of these, only the neuts may present a significant problem for a tackler, but given that they would only be smalls a wide orbit should evade their effect while still remaining in scram range and under the muninn's guns. The autocannon muninn is a little more unusual, and I admit I've very rarely encountered them. Essentially, an auto muninn is a rupture with an extra gun, a tracking bonus, and buffed em/therm resists. It's handily outperformed by the hurricane (minmatar battlecruiser) on most fronts, and is generally considered not worth the price tag compared to more appealing alternatives. However, the simple fact that they are used means we shouldn't discount them. The main things to watch out for with an auto muninn are its tracking (which with a 50% tracking bonus at HAC Lv 5 is significantly better than the rupture's), and the relatively strong likelihood of two medium neuts in its spare high slots. On the other hand, the auto muninn is vulerable since it will almost always have to armour tank in order to be viable at autocannon ranges, and that makes it very vulnerable to its explosive and kinetic resist holes (it's fairly likely that these will be rigged or hardened, but they will still be significantly weaker than its thermal and em resists). Given its neuts, drones and tracking (as well as the possibility of a web), engaging an auto rupture in a frigate is quite a significant risk. In a comparable ship however, you're likely to find the auto muninn fairly unsurprising compared to other ships in its price range (although it's still a very capable ship, and should not be underestimated by any means). Damage types against a sniping or mid range muninn are the same as the vaga: kinetic > explosive > thermal > EM. Against an auto muninn, that becomes explosive > kinetic >> thermal >> EM. If you're flying a laser ship and thus EM is your only possible damage type, an auto muninn is a very poor choice of target unless you're confident that you can avoid its damage completely and escape at will. The zealot is both the amarr's answer to the vagabond, and to the muninn. Since both pulses and beams predominantly ultilise optimal range, the zealot's 10% per level optimal range bonus serves both weapon systems and this ship has both the speed and slot layout to fill either role. While minmatar follow a doctrine of versatility, the amarr eschew this in favour of robust tanks and strong damage outputs - this is reflected by the zealot's slot layout; it swaps the muninn's two utility highs and 25m3 drone bay (both of questionable usefulness to a sniper, but providing some flexibility) for two additional low slots, giving a 5/3/7 slot layout all told. It maintains the muninn's 5 turrets as well as its double damage and optimal range bonuses, although it exchanges the tracking bonus for the usual bonus to turret cap usage. As a sniper, the zealot's capabilities are fairly similar to the muninn - thanks to its additional low slots it has the potential to be faster, more damaging and/or longer ranged, however it exchanges this for a lower alpha strike (due to beams rather than artillery) and the lack of any defence at all should it get tackled (no neuts, no drones). Additionally, it's worth remembering that amarr laser boats can switch ammo instantly, thus the zealot can quickly switch out from its tracking-penalised aurora crystals if it needs to engage a target with high transversal, such as a fast tackler. Tactics against a sniper remain the same, so I won't repeat them - if you've skipped right to this entry, see paragraph 4 of the muninn section. As with other sniper HACs, true sniper zealots tend to be relatively untanked - a single large shield extender is the most common option. Catch one, and just like the muninn it should present little challenge. Where the zealot gets interesting is at closer ranges. Aside from sniping, zealot fits generally fall into one of two categories - the armour tanked brawling zealot (although brawler is a misleading label, since these fits often operate at mid range too) and the shield tanked kiting zealot. Zealots can pack a very solid armour tank thanks to their 7 low slots, with a plate (often a 1600mm) backed up by plenty of resist mods and strong amarr t2 resists (buffing explosive and kinetic). CPU is tight, but powergrid is generous enough to fit either pulses or beams (which incidentally have roughly equivalent fitting requirements, unlike the respective projectiles). With pulses, an unmodified zealot can deal impressive dps out to around 10km with navy multifrequency, or around 35km with scorch - fairly impressive considering this is still optimal range rather than the less useful falloff range of autocannons. With beams those ranges switch to 20km and 70km, although some dps and a significant amount of tracking is lost as a result. Occasionally you'll find armour zealots fit with an AB rather than a MWD, although this is more a large gang phenomenon than one applicable to solo or small gang. In general, you'll find the greatest threat from pulse zealots due to their ability to hit at almost all common engagement ranges with both solid tracking and almost battlecruiser-level dps. 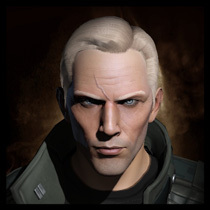 Beam zealots will generally present less of a threat, since their significantly poorer tracking coupled with a complete lack of drones or neuts makes them fairly vulnerable up close - in fact even a well tanked beam zealot will eventually die to a lone interceptor or AF able to get in close providing the zealot pilot doesn't have any backup available. The third mid slot on the zealot may house a web, so be aware that they aren't entirely helpless up close and pulse zealots especially remain deadly against comparable targets well inside web range. The final common zealot configuration is the kiting or nano zealot. Rather than focusing on tank, these ships use their abundant low slots to greatly enhance their damage output, range, and speed. Compared to its rival the vagabond, the kiting zealot is still significantly slower, more fragile, and lacks the defences of a neut or drones, however it definitely has some points in its favour. While it may be slower, it's still a fast ship (just shy of 2km/s is fairly standard) and it offers exceptional dps at range - optimals of over 40km are fairly easy to achieve with pulses and scorch, and since this is pure optimal rather than falloff the kiting zealot will handily outdamage an equivalent vagabond at kiting range, despite having roughly the same on-paper dps. In terms of tank, kiting zealots tend to have little more tank than their sniping counterparts - typically a single shield extender, damage control, and a couple of shield rigs. As shield tankers, they are also left with significant EM and thermal holes in their tank. While this may initially seem like a significant disadvantage, it is far less so when you consider that the main weapon system they compete with at their intended range is autocannons with barrage - almost entirely explosive damage, which is by far the zealot's strongest resist. Fighting a kiting zealot is much the same as fighting a vagabond, although they will generally be easier to catch and easier to hold (albeit a greater threat until you've done so due to their very strong damage output). Alone, a kiting zealot should die fairly easily if you can land a scram, even to a single frigate since they have no real defence against them one they're close. They are however especially dangerous in packs, and will generally fly in the same nano gangs as ships such as the vaga and cynabal. As with the vagabond, avoid allowing your own gang to be drawn out or split up, and resist the urge to give chase unless you're confident that you can both catch and hold your intended target. The zealot is quite unusual in that the three common variants mentioned above are not only wildly different, but are surprisingly difficult to differentiate before the fight begins. Your best bet (other than using the look at function) is to look at the ship's speed. Armour zealots will typically clock around 1300m/s and will usually try to begin fights up close and personal (assuming they're carrying pulses), while shield zealots will be closer to 2km/s and will more often warp in to fight at range in the hope of dragging targets into pursuit. Sniper zealots will obviously tend to warp in at 100km+, and should be fairly easy to spot. Against armour zealots, thermal is usually your best damage type followed by (on base resists) EM, kinetic and explosive. However due to their numerous low slots it's fairly common for zealot pilots to fit hardeners on their lowest two resists, in which case the order or preference becomes kinetic > thermal > EM > explosive. Shield tanked zealots (which covers both kiters and snipers) will be weakest by far against EM damage, followed relatively closely by thermal and with kinetic and explosive only to be used if you have no other choice. Also, don't discount the effectiveness of tracking disruptors against the zealot - with no weapon system other than its turrets, these can cause a serious upset regardless of the fit. The sacrilege is a less common sight than its brother the zealot, although I do still encounter them from time to time. In many ways, the sacrilege is the big brother of the vengeance - both are khanid designs, receiving their trademark black hulls, higher than usual mid slot allocations (6/4/5 all told), and of course missiles rather than turrets - like the vengeance and malediction, the sacrilege's bonus is to close range missiles in particular, in this case heavy assaults (commonly referred to as HAMs). Just like the vengeance, the sacrilege receives bonuses to both capacitor recharge and armour resistances, along with a double damage bonus for its 5 launchers. It also has a spare high slot and bandwidth for three light drones, providing a level of flexibility that the zealot lacks. As you'd expect with its resist bonus, the sacrilege is able to mount a very impressive buffer tank if desired - a 1600mm plate fits handily with all the trimmings (although with fewer low slots than the zealot, a sac pilot has to choose to an extent between tank and damage). Additionally, the sacrilege can field a very impressive active armour tank with dual reps, augmented by its naturally strong cap regen and plenty of mid slots allowing a cap booster to be fitted without compromising the fit's combat ability. The latter tank is generally more popular for solo (lowsec in particular as far as I'm aware), while the former is more common for gangs. When it comes to damage output the sacrilege is capable, with comparable on paper dps to the zealot albeit with the shorter maximum range of about 20km. Unfortunately, the sacrilege is somewhat overshadowed in this regard by everyone's favourite (or least favourite) missile platform - the drake; a fact that makes the sacrilege perhaps less popular than it deserves. The sacrilege does however posses the redeeming features of greater speed, far lower signature radius (making it more effective for engaging large targets up close) and plenty of mid slots for tackle and ewar since it doesn't need to rely on them for its tank. That latter point makes the sacrilege potentially much more dangerous up close, since in addition to the potential for a neut, the sac pilot is likely to have at least one web at his disposal (or potentially two if not cap boosted), which significantly increases the damage potential of its HAMs. It is also one of the few ships that can truly field any damage type at all with no tradeoffs, making it versatile and unpredictable as an opponent (although for what it's worth, most khanid pilots in my experience seem to load thermal by default). In much the same way as the vengeance, the active tanked sacrilege is where its capabilities really tend to shine - it will generally be cap stable with a single medium rep, and with dual reps it can quite easily tank the dps output of an equivalent ship or a small gang of frigates - at least until it runs out of cap boosters. This kind of fit is likely to prove a very difficult fight when solo, unless you're also able to tank its damage output (in which case it will probably become a game of cap management). As with any active tanked fit neuting may help, although the sac's naturally strong regen may mean this hurts you as much as it hurts it. When it comes to fighting a sacrilege, I don't really have any obvious tips for you - it's a fairly unremarkable ship in terms of strengths, but in the same way it has no notable weaknesses. Keeping your speed as high as possible will significantly reduce the damage output from its HAMs, especially in a similarly sized ship or smaller. Beware of its webs (or other mid slot ewar), and be prepared for neuting (although some fits will struggle to fit a medium neut, and a small may be more likely). As with the zealot your best choice of damage is usually thermal, followed by EM > kinetic > explosive. With the sacrilege's lower mid slot count, it's less likely to field hardeners on its lower resists than the zealot, although it still isn't uncommon (you can use look at to determine whether hardeners are running, although don't confuse the hardener effect with that of an active armour rep). If hardened, its lowest resists will be EM (with one hardener) or kinetic (with two). When it comes to pure damage output, the deimos beats all other HACs hands down (in fact it also outdamages almost all battlecruisers). This ship offers a 6/3/6 slot layout, gaining an additional high and low slot over the thorax while keeping the same 5 turrets and 50m3 of drone bandwidth. A second damage bonus and a 10% per level falloff bonus round out the deimos' offensive capability, however as a blaster boat its effective range is still generally quite limited - about 14km with ions and null. The vast majority of deimoses are blaster fit, making full use of the ship's excellent damage bonuses and high speed (it's a few hundred m/s faster than the thorax under MWD). Rail deimoses do see some use, most commonly in gangs with muninns/zealots where the pilot can't fly either of those ships. Without a range bonus, the deimos isn't really an effective sniper (60-80km is about as far as it can effectively hit), although at mid range it is fairly capable. Like the thorax, the deimos has a fairly substantial drone bay and is likely to field either a full flight of medium drones, or a fight of lights with a set of ecm drones as backup. Expect almost all deimoses to fit a MWD, scram and web in their three mid slots (some swap the web for a cap booster), and there is the possibility of a medium or small neut in their spare high (although some common fits are very tight, and this may be left empty as a result). The deimos has a reputation for dying often (so much so that it has earned the popular nickname 'diemost'). This is actually more a product of the ship's high threat (making it a popular primary target) and point blank engagement range (making escape from a losing fight relatively difficult) than any fragility on the ship's part - the deimos can quite easily field an armour buffer tank on par with the zealot's, and in terms of combined gank/tank it is probably the strongest close range brawler of the t2 cruiser line. While it's possible to active tank a deimos, it doesn't have the mid slots to fit a cap booster without losing its web - if you do encounter an active tanked deimos, you should be able to either pull range and evade its fire (if it doesn't have a web) or simply overcome its tank as it swiftly caps itself out (if it doesn't have a cap booster). Rail deimoses may be shield tanked, especially if they are flying with sniper HACs - if so, they are likely to be very fragile. The weakness of the deimos is in its inflexbility - while other HACs can make use of their speed and range to shape engagements in their favour, the deimos really only has one modus operandi - get in close and fire everything it's got until something dies. This is of course devastating against anything which doesn't want to be fighting up close or which isn't capable of standing up to the deimos one on one (which covers most things), however it does leave the deimos pilot short on options, especially when faced with a target equally capable at close range such as the HACs' ubiquitous nemesis - the battlecruiser. Against a gang in particular, the deimos has no real way of picking off individual targets without leaving itself very vulnerable to being swarmed. That said, the deimos does have advantages over a battlecruiser in both speed and signature radius, both of which serve it well in its role as a close-range brawler. Beware of deimoses when flying a kiting battlecruiser such as a drake or hurricane - these ships push around 1.5km/s even with a full armour buffer, and can close range on your average kiting BC much more quickly than you'd expect. As a solo target, the deimos is likely to be a very challenging fight at close range. Since a web is highly likely, getting under its guns can be very difficult even in a small ship (remember that even if its guns can't track you, you still have its drones to contend with). Generally your best bet is to attempt to fight outside of its effective range - the further out you can get the better. Deimoses can put out reasonable damage to about 14km, but are strongest inside about 5km where they are well inside antimatter's falloff range (if you have a tracking disruptor, load an optimal range script and you'll enjoy a significant amount more breathing room). Be aware however that the deimos is not a slow ship, so holding range may be easier said than done. In a gang, the deimos makes a good choice of primary target due to its excellent damage output and tendency to be close to your fleet. However this is no thorax - be prepared to chew through a fairly impressive tank. Any ship being engaged by the deimos should attempt to increase range wherever possible. Thanks to its gallente t2 resists, the deimos is very strong against kinetic and thermal damage on both armour and shield (and these damage types should be avoided where possible). The armour tanked deimos has a significant explosive hole, however given the size of it this is usually plugged with an active explosive hardener (making explosive the second preference after EM). Even so, explosive isn't far behind and remains a reasonable choice on the off-chance that the deimos pilot has not filled their resist hole, or has relied on a rig to do so. The ishtar is among the strongest drone boats in the game. It's able to field a full flight of heavy drones (a feat which, other than the faction cruiser the gila, is not matched until battleships), and at HAC Lv 5 is ties with the dominix (gallente drone battleship) for the second largest drone bay in the game - 375m3 or three full flights of heavies/sentries (although obviously this is not what they generally carry). Only the rattlesnake (guristas faction battleship) and gila (guristas faction cruiser) have larger drone bays, at 400m3. Compared to its predecessor the vexor the ishtar gains a mid slot and a low slot, although it loses a turret hardpoint, giving 5/5/5 with 3 turrets. It shares the vexor's bonuses to turret damage and drone damage/hitpoints (unfortunately it loses the one to mining yield! ), while the HAC skill adds bonuses to drone bay (included in the figures above) and a unique bonus to operation range for light, medium and heavy drones (but not sentries) of 5km per level. With a completely even slot layout and no resist bonuses, the ishtar can fit a substantial tank regardless of whether it chooses shield or armour. However, with only three turrets the advantage of freeing up low slots for damage mods is less than it was for the vexor, and armour tanks are generally preferable. Like the vexor, the ishtar can mount a very stiff armour tank with either a 1600mm plate, 800mm plate and rep, or dual rep being popular choices (the latter two are generally more specific to solo). Due to it's high number of mid slots for an armour tanker, you can expect the ishtar to have plenty of tricks up it's sleeve potentially including scram, web(s), a cap booster, dual propulsion, or some form of electronic warfare. This makes the ishtar both dangerous and unpredictable. In terms of offence, most ishtar pilots will carry at least one flight of heavy or sentry drones (for now we'll focus on the former), which provide a very strong damage output against larger targets easily equivalent to the other close range HACs. They're also likely to carry at least one flight of warrior IIs for anti-frigate work, probably more than one. Finally, most sensible solo ishtar pilots will be carrying at least one fight of ecm drones, to get themselves out if things aren't going their way. The rest of the drone bay could contain just about anything - another flight of heavies, some mediums, more lights, etc. however the above are the ones you really need to watch out for. The turrets on the ishtar are really just a secondary weapon system, although they do add a fairly substantial contribution when fighting up close. Most likely, these will be medium blasters, however small guns may be used to free up grid for tank, and rails are not unheardof on a longer ranged fit. The sentry ishtar is quite a different beast. With a few drone upgrades, it's able to operate at the same ranges as a sniper HAC, but with far greater damage output - with a full flight of bouncer IIs and two sentry damage rigs, the ishtar does almost double the damage of a sniper zealot at the same range! When fighting one of these, it's important to know your drone types - bouncers and wardens have exceptional range (wardens hit slightly further, but have shorter falloff), while gardes have shorter range (30-40km without upgrades, or up to 50-60km with) but exceptional damage output and tracking. Curators are rarely used, but are somewhere in the middle (they do less damage than bouncers and at shorter range, although they do have noticeably better tracking). As with the sentry vexor, once the ishtar drops its drones they will be unable to follow the ship - this means it either has to remain still or more likely, risk losing them if you can force it to warp off. While this is less of a problem than it was for the vexor (the ishtar can easily carry a second set), it's still an excellent way to remove their damage output. Their tank is also likely to be much less substantial than a more conventional setup, in fact don't be surprised to find one entirely untanked. They will also generally use most if not all of their mid slots for drone upgrades and sensor boosters, meaning they are much less likely to field additonal tackle and ewar mods. The sentry variant aside, engaging an ishtar in a light ship is generally a very bad idea - not only do drones cut through frigates like paper, but the ishtar will almost definitely have at least one web and is quite likely to carry neuts too (although smalls are more likely than mediums to conserve powergrid). If you do go for it, it's safe to say that with a drone bay of that size shooting the drones first is pointless - just focus on taking the ship down as quickly as possible. In a larger ship, expect a tough fight and a very versatile opponent - the ishtar can engage effectively at almost any range, and with dual propulsion and/or dual web being potential fits, range control is likely to be in their side of the court. Due to the toughness of heavy drones, it's still generally preferable to go for the ship unless it's out of your own range. If you notice the ishtar launching ecm drones (usually when they are losing), killing these is a good idea - they have very low hp, and could potentially deny you a kill if you ignore them. As with the deimos, the ishtar is naturally weakest against explosive and EM damage, with strong kinetic and thermal resists. Since it doesn't rely on its low slots for damage, the armour ishtar will almost definitely fill its explosive hole and may well fill its EM hole too. Because of this, I'd generally stick with explosive as your damage type of choice - while EM is better with only one hardener, an EM hardener makes that its second highest resist. Against a shield ishtar, EM will almost definitely be the lowest resist even if the hole is filled, followed by explosive. It's worth noting that missioning/ratting ishtars are commonly fit with a passive regen shield tank (a kind of missioning fit which focuses on maximising your base shield regen rate rather than using any actual boosting). While this makes the ship fairly useless other than as a platform for controlling its drones, it does generally provide a tank which is very difficult to break solo even with neuting (unless the ishtar is already taking heavy damage from rats). Be prepared to call in backup, and while it can't tackle you, don't forget that its drones remain just as effective! When it comes to range, the eagle far outstrips every other HAC in much the same way as the moa does every other t1 cruiser. With two 10% per level range bonuses on top of the longest ranged weapon system in the game (railguns), an eagle with no range mods at all is already capable of hitting out to the same ranges as a fully sniper-fit muninn or zealot. With a sniping fit of its own, the eagle can achieve optimal ranges of over 200km! However, this comes at a price - with only one damage bonus, the eagle's damage output is noticeably lower than that of the muninn and zealot. The eagle is much more mid-slot heavy than either of the other sniper HACs, with a 6/5/4 slot layout, 5 turrets and no drones. With the same shield resist bonus as the moa, the eagle can potentially fit a very stiff tank, however this is rarely done - fitting a shield tank along with the highest calibre rails is very difficult, and most sniping eagles choose instead to use most if not all of their mid slots for enhancing optimal and targeting range (there is some logic to this of course - if you're 200km from the fight, who needs tank?). Mid-range sniping fits are likely to fit a moderate shield tank, although you're still unlikely to encounter anything too substantial. Ironically, the eagle's longer range actually makes it more vulnerable as a lone sniper. 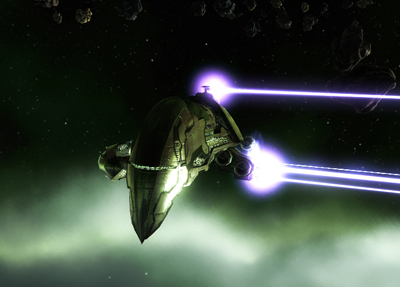 While the zealot and muninn generally snipe from inside minimum warp distance (meaning you're not able to warp directly to them even if you're able to get a probe hit or a tackler in the vicinity), the eagle will often operate outside this range; a single probe hit can quickly place your whole fleet on top of them - as with any sniper, you know how things go from there. The lower volley damage of rails also makes the eagle less of a threat to light ships, however you should still avoid sitting stationary with a sniping eagle around. Like the moa, the eagle can actually sport a reasonable blaster fit. While the damage output of such a fit is significantly lower than that of the deimos, it does have a comparable tank and a more flexible optimal range on its side, as well as the element of surprise - few people will think twice about engaging an eagle at point blank given their reputation as rail sniper. Like the autocannon muninn however, this level of performance is generally considered not worth the price tag and encountering such a fit is fairly unlikely. The eagle's strong t2 caldari resists buff both thermal and kinetic, making EM by far the best choice of damage type followed by explosive (the eagle generally doesn't dedicate enough slots to tank to fully fill its EM hole, if it's even tanked at all). In gang, the eagle is probably not a good choice of primary (assuming it is even in range to do so) - it generally presents less threat than equivalent ships, and while it's usually quite fragile it is still likely to be more tanked than other HACs operating at the same range. No other HAC can deal as much damage as the cerberus at the same ranges. With 10% per level bonuses to both missile velocity and missile fight time, a cerberus pilot with HAC level 5 can hit out to almost 190km with heavy missiles, or even around 45km with HAMs! Where a turret ship would need to load long ranged ammo in order to hit at anything like these ranges (thus reducing its damage output and tracking speed), the cerberus as a missile boat has no need to do so - it puts out just as much damage at these extreme ranges as it does up close and personal. Of course, there is a downside - while a turret ship is able to apply its damage immediately, a cerberus launching from max range will be waiting something like 20 seconds before its missiles finally hit. Not only is this plenty of time for a target to escape, it also means that if the cerb is forced to warp off (as snipers often are), any missiles still in the air are effectively wasted - due to the timescales we're talking about, this could potentially be a good three or four volleys down the drain. In terms of slot layout, the cerberus gets two mid slots and an additional high over the somewhat slot-poor caracal, giving it 6/5/4 all told with 5 launchers (although it loses the caracal's token two drones). In addition to its range bonuses the cerberus also get a double damage bonus - in addition to the additional low slots for damage mods, this gives the cerb a far more robust damage output than its predecessor. The majority of cerbs tend to be fit with heavy launchers - this both allows them to take advantage of the ship's impressive range, but also avoids the potential powergrid issues that it encounters fitting a full rack of HAMs. In addition they will usually mount a fairly moderate shield tank - generally weaker than that of the close range HACs but significantly stronger than the little-to-no tanks of the sniper HACs. As a lone sniper, the cerberus is generally much less dangerous than the other long range HACs despite its superior damage output - due to the travel time of its missiles, you've generally got a lot more time to react and the risk of getting volleyed is fairly slim. Where the cerb is a much greater threat is when you're already tackled or engaged with another target - in this scenario it's able to add a significant dps contribution while remaining well out of your own reach. Like the eagle, the cerb's exceptional range means they may often engage at a warpable distance, so again, probes are your friend. The HAM cerberus if you encounter one is much the same as its HML counterpart, just with a shorter range (about 45km, or 65ish with javelin). It may be a little tougher (since it won't be taking up slots for sensor boosters etc) and will probably have slightly higher damage ouput (more so against larger targets). Otherwise, there isn't any substantial difference between the two. Fighting a cerberus solo (once you're actually able to catch one) is fairly straightforward regardless of your ship, at least in the sense that there are no real tricks to it either in your favour or against. Try to keep your speed high and avoid running your MWD too much, especially if they are packing HAMs. They're much less likely to fit scrams or webs than the caracal, so maintaining a high speed should not be difficult. It's possible there will be some neuting, but due to fairly tight fitting and naturally long range (making a neut fairly useless in ideal circumstances), it's unlikely to be a medium if there is. While the cerb is generally tougher than its sniper cousins, it generally won't come out ahead in a close range fight against a well fit brawler. In gang, the cerberus makes an good choice of primary if it can be tackled up close (note that the cerb's damage is no higher at close range so it really has no reason to be there, however that doesn't seem to stop them). If the cerb is at range, consider sending out a fast tackler to chase them down - while this will usually just cause the cerb to warp off, it means (as I mentioned earlier) that any missiles still in the air become wasted, as well as the cerb pilot having to warp out and back before they can resume their attack. As with the eagle, EM is your damage type of preference followed (fairly distantly) by explosive. The cerberus is more likely to fill the hole than its sniping counterpart, but due to the size of the hole and the number of slots usually dedicated to tank, it should still be your best choice. Again, excellent writeup. Much appreciated, Azual. Probably could have written the eagle up in a single phrase "do not fly, waste of isk"
Poor caldari, at least they have the best BC/Recon/T3. 3 out of 30 isn't so bad. In case I have not mentioned it before, this whole series is fantastic. Great write up, thanks for taking the time to put it together. Thanks for doing these! Amazing breakdown of all of Eve's hulls. Please write up faction cruisers! I'll pay you in cookies and cupcakes! Thank you for this. One observation around Ishtar. Navy Domi also has 400m3 drone bay.